Sotheby’s has an outstanding collection as an auction house and has been at the centre of the Fine Art industry since its conception in London in 1744, when founder Samuel Baker sold off an acquisition of ‘…several hundred scarce and valuable books’. In the 20th Century Sotheby’s expanded from being a purveyor of rare books, to becoming a handler and dealer of all fine and decorative arts. Due to incredible business acumen and a strong understanding of the arts, Sotheby’s have weathered both financial crises and upheavals in the art world with great success. Accordingly, they now stand as one of the biggest forces on the art market, and one that is likely to go unchallenged, except for the ongoing rivalry offered by Christie’s auction house. In 1964 Sotheby’s acquired leading U.S. auction house ‘Parke Bernet’ (in New York), giving them a vital outlet in what they realised to be a growing international market. As well as the main New York and London (both Olympia and Bond Street) locations, Sotheby’s have many other auction locations worldwide, including Toronto, Paris, Geneva, Amsterdam, Melbourne, Singapore and Sydney. Of the five most expensive paintings of all time, four were sold by Sotheby’s. 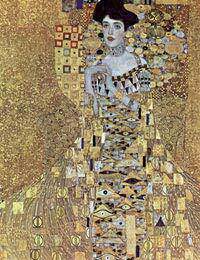 The highest selling is ‘Portrait of Adele Boch Bauer’ by Gustav Klimt, which sold for 135 million USD at Sotheby’s New York Gallery in summer 2006. At the turn of the century, both the New York and London auction houses expanded massively making Sotheby’s an unstoppable force on the international scene. It is liable that expansion into the Far East, India and China will seal their dominance of the art market. However, with so many unexplored market areas, the way is left open for entrepreneurs to at least infringe on some of their territory. Additionally, there are many representative and associate galleries across the world, including eighteen in the United Kingdom and Ireland alone. Sotheby’s offers a range of services, listed on their website. Amongst these are auctions, which are advertised well in advance, ‘advanced viewings’, valuations, a loan service and financial advice (including tax and heritage advice). In order to bid at Sotheby’s you must register in advance and get a numbered paddle. You can also arrange to make absentee bids, or telephone bids. In order to bid in person and buy, you must have a passport or driving licence. The New York auction house do occasional internet bidding, conducted via e-Bay. If this is successful, this is something that is likely to become more common in the future, though as with all internet purchases it is wise to make some guarantee as to the quality/condition of the product before buying. When offering something to sell you must arrange an initial consultation, where a valuation will be made, followed by a decision as to whether your artwork(s) is suitable for auction. Sotheby’s run their own arts education programme in London, New York and Singapore, with courses ranging from ‘Art Business’ bachelors and masters programmes, to art historical programmes and evening classes. With the range of services that Sotheby’s offer, they clearly pander to a market that appreciates having everything at hand. Obviously, considering the large amounts of money that change hands at auction, it follows that buyers are well looked after.